We are commanded to "blot out the memory of Amalek from under heaven". Deut 25:19 Haman was a descendant of Amalek [Esther 9:24]. Descendants of Haman studied Torah in Bnei Brak. [Sanhedrin 96b, Gittin 57b] Evidently then, a known descendant of Amalek is allowed to convert to Judaism. How does that square with the commandment? All males past majority should be killed. Their money and their children should be taken as spoil, but neither women or children should be killed, as Deuteronomy 20:14 states: 'But the women and the children... take as spoil." 'The children' refer to males below the age of majority. How do we know that these commands are only referring to those who did not accept a peaceful settlement? Joshua 11:19-20 states: 'There was no city which accepted a peaceful settlement with the children of Israel except the Chivites who lived in Gibeon. All the rest, they conquered in battle. This was inspired by God, Who strengthened their hearts to engage in battle against Israel so that they would be destroyed.' From these statements, we can infer that a peaceful settlement was offered, but they did not accept it. Whenever any of the gentiles convert and accept all of the mitzvot in the Tora or a servant is freed, they are considered as Jews with regard to all matters, as [Numbers 15:15] states: "For the community: there will be one law [for you and the convert]." A convert may marry within the Jewish community immediately, i.e., a male convert or freed servant may marry a native-born Jewess and an Israelite may marry a female convert or a freed maid-servant. R. Eliezer says that God swore on His throne of glory that if someone from any of the nations of the world comes to convert, they should accept him, but [if someone comes from] Amalek and his house, they should not accept him. As it says, And David said unto the young man that told him: 'Whence art thou?' And he answered: 'I am the son of an Amalekite stranger.' At that moment David remembered that which had been told to Moses our teacher – if someone from any of the nations of the world comes to convert, they should accept him, but from the house of Amalek they should not accept him. Immediately, And David said unto him: 'Thy blood be upon thy head; for thy mouth hath testified against thee, Therefore it says from generation to generation. The Mechilta only means that we cannot accept Amalekite converts. But the Amalekites on their own can come and convert. In truth Amalekites are not permitted to convert to Judaism, but the descendants of Haman in Benei Berak were found abandoned as babies and were converted without the awareness that they were Amalekites. When the Mechilta says that we do not accept them it just means that we don't let them join the congregation and marry a Jewess, but of course they can become Jewish in every (other) sense of the term. The Talmud disagrees with the Mechilta and we follow the Talmud. 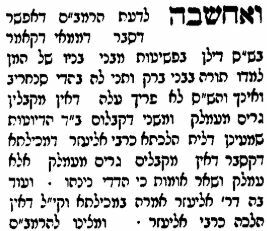 The statement in the Mechilta is attributed to R. Eliezer, and the law in general does not accord with R. Eliezer. 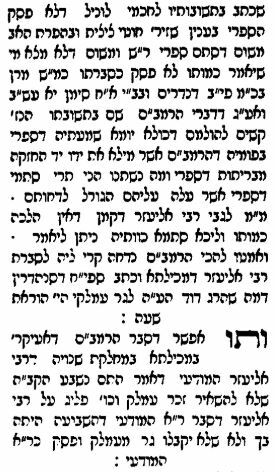 There is another opinion in that very passage in the Mechilta that interprets the verse that R. Eliezer was expounding differently, so presumably there is already a dispute about Amalekites converting to Judaism. It is true that Amalekites cannot convert to Judaism, but then Sancheirev came and mixed everyone up so we follow the majority and accept converts even though they might be Amalekites. In this case it was Divinely revealed that the people studying in Benei Berak were in fact descended from Haman. When the Mechilta says that we don't accept Amalekite converts it is referring to after we have already begun a war with them. But prior to the war they can convert. See also Tzitz Eliezer 13:71 which covers a lot of this. Not the answer you're looking for? Browse other questions tagged conversion-to-judaism amalek .